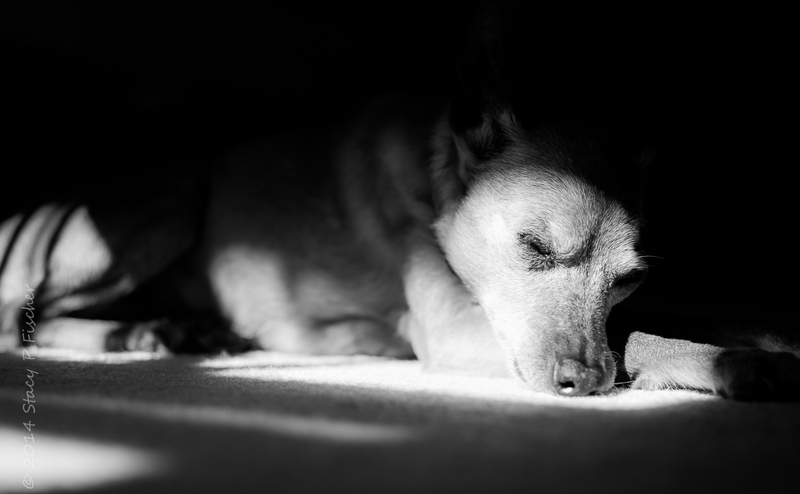 Posted in black and white on Monochromia. 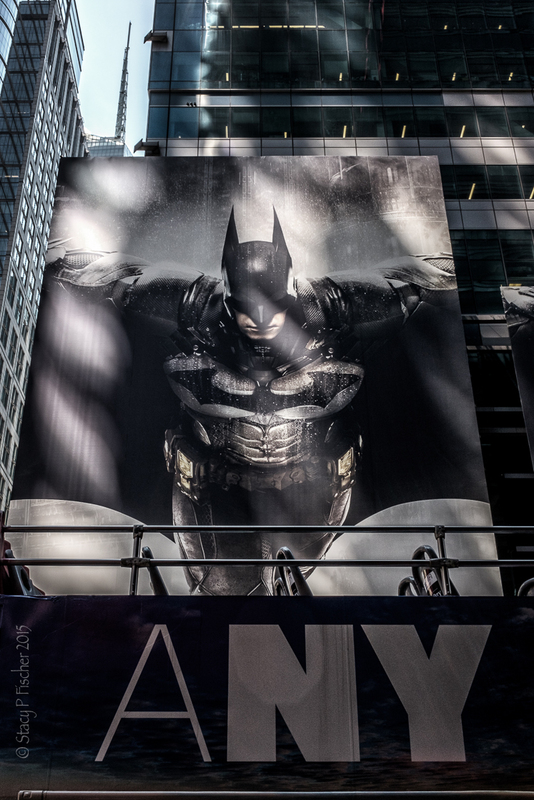 While roaming the streets of New York City with fellow Monochromia photographers Joe Giordano and Patti Fogarty, we crossed paths with this fantastic billboard at 42nd Street and 7th Avenue advertising the Batman Arkham Dark Knight video game. The NYC tourist bus in front? A happy coincidence. This entry was posted in Art, Monochromia, New York City, Places and tagged advertisement, Batman, billboard, Fuji X100T, photography, postaday. Bookmark the permalink. ← The Three V’s: Visual Venturing Vacation! What a terrific find. Great photo, Stacy. And you’ve been wandering the streets with Patti and Joe. This really has been a blogger year for you. So much fun. WOW! What a fun find! It’s been years since I’ve been to NYC … the energy that I find in the photos that you, Joe, and Patti post make me want to get back there. I’m thinking you’d probably need a bigger living room 🙂 Thanks for commenting! Love this. Only in New York! Gotta love Batman! Thanks, Nancy! What a find! This is so awesome Stacy. Love how you presented it here. You’re welcome! I can’t remember lol. It’s times like this that I miss New York! Strolling with friends, every corner a new photo opportunity. I love this poster, Black and white with just the slightest bit of color. And you were so lucky to be able to meet Joe and Patti! Thanks, Emilio! I fell in love with the city! Truly, I could live there (at least for a few years). I loved the instant energy simply stepping out the door brought! And it was so special to be able to spend the entire day with Joe and Patti. Truly as nice and wonderful as you think they are. Someday I want to be able to say I’ve met you too!